We’re very excited to let our readers know that The Quilliad was reviewed in Broken Pencil! 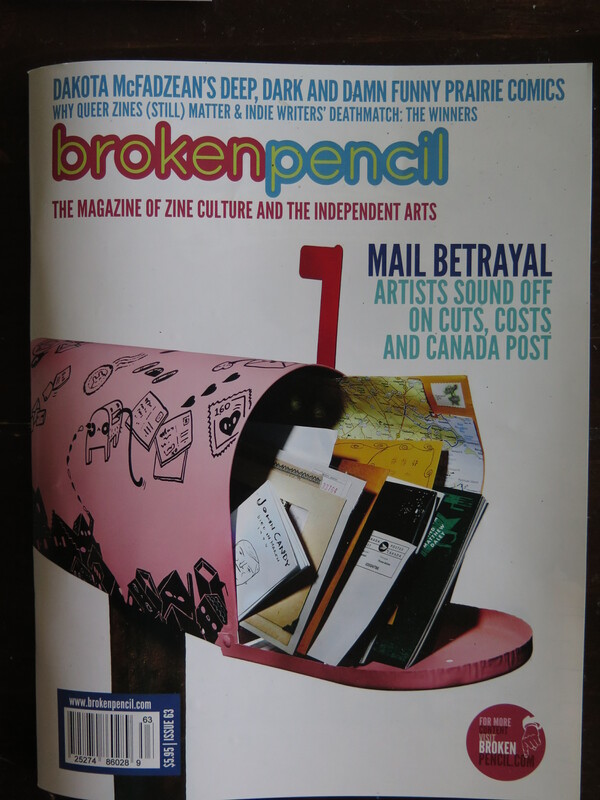 For those who haven’t heard of Broken Pencil, the publication is “the magazine of zine culture and the independent arts”. Scott Bryson reviewed our second issue, calling us “a cleverly-named litzine full of clever writing.” Poetry by Jessica Bebenek and Calista Michel and fiction by Shannon Campbell were described as “noteworthy”. We couldn’t ask for a better review. To read it in full, check out the latest issue of Broken Pencil. Also, if you think clever writing (and, this time around, beautiful art) are your thing, come on out to our launch party and arts show for issue 3 on Saturday, June 7 at Betty’s on King, 240 King Street West, upstairs in the party room. We’ve changed it on the original post, but it seemed worth mentioning that The Quilliad‘s Issue 3 Launch Party and Art Show will be on June 7, 2014 instead of May 30. It will still be happening at 7 p.m. at Betty’s (240 King Street, Toronto) on the upper floor. The Quilliad Launch Party Approacheth! Our third issue launch party and art show will be Saturday, June 7, 2014, at Betty’s on King, 240 King Street, Toronto, Ontario, on the upper floor. There will be readings, art, and merch from local writers and artists. Come check it out! Here’s the Facebook event: https://www.facebook.com/events/1432319977023637/.